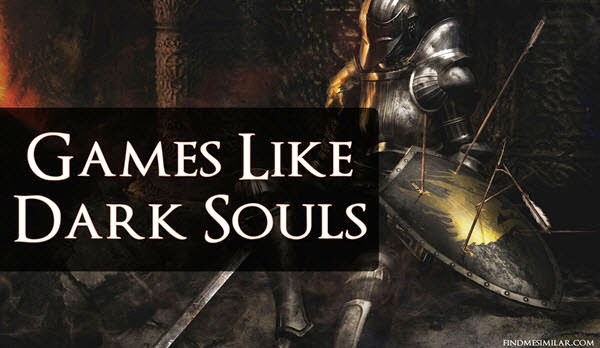 8 Best Games Like Dark Souls '+g+"
Dark Souls is an dark fantasy action RPG set in an fictional world of Lordran. The game is said to be one of the hardest RPGs where the player takes the role of a cursed undead human who must escape from the asylum and go to the land where the lords lived to find the fate of undead. If you are itching for more challenging and dark themed games like Dark Souls the below list of recommendations must fill your need. They may not be exactly similar but have many similarities in terms of theme, combat, difficulty, game play and style. Dragon’s Dogma is an Open World Action-RPG from Capcom. The player takes the role of Arisen an orphan who sets out on an epic journey to find and kill the dragon that has stolen his heart. The similarities with Dark Souls include its huge open world with hack and slash and survival elements. A sequel to CD Projekt RED's dark fantasy RPG “The Witcher”, It tells the tale of Geralt of Rivia one of the last surviving Witcher accused of assassinating the king, sets out on an adventurous journey to find the real killer. Lords of the Fallen is a fantasy action role-playing game by CI Games and Deck 13. Play as Harkyn, a convicted criminal who is seeking redemption by saving the world from reemerging demonic army commanded by a long-ago overthrown god. Demon's Souls is an hack and slashes fantasy RPG game and is the closest game like Dark Souls as it is an spiritual predecessor to it. Like Dark Souls is also a difficult game with deep combat system with unique online multiplayer integration. Bloodborne is an action rpg game for PS4 and is considered as the spiritual successor to the Demon's Souls. As a spiritual successor it shares similar elements to the soul series where the players walk through the ancient city of Yharnam lurking with dangers at every corner. Monster Hunter is an popular Japanese action role-playing game series where the players try to increase their hunter rank by hunting various monsters and completing different quests. The combat and boss fights in this game may be compared to that of Dark Souls. Severance: Blade of Darkness is an gory action RPG set in an highly detailed fantasy world featuring close quarter combat. The player must choose from one of the four (barbarian, dwarf, knight and ranger) classes and set out on an adventure for obtaining the powerful and sacred Ianna's Sword. Using Ianna's Sword defeat Dal Gurak the evil Necromancer and enter the Abyss to put an end to the evil. Shadow of the Colossus is an action-adventure game where Wander set out on an journey to seek out and kill the giant mythical beasts called Colossus. He must defeat all the 16 beasts wielding only a sword, bow and wits in order to revive his love, Mono. Thinking of any other similar games like Dark Souls that should be in this list? Then don't forget to mention them in the comments below.